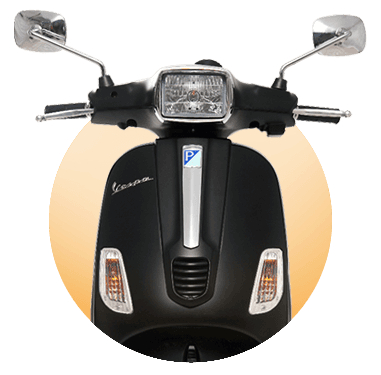 *Actual On Road Price of Piaggio Vespa at the dealership may vary. Piaggio India launched a new special edition scooter in India christened the Vespa RED, priced at Rs 87,000 (ex-showroom, Maharashtra). Based on the Vespa 125 model, the new Vespa RED has been launched in collaboration with (RED), a company that partners with global brands to create awareness and also support the fight against HIV/AIDS. This particular version of the Vespa RED has been launched only in the Indian Market, and every sale of the Vespa RED will generate money to finance Global Fund grants that support the fight to end AIDS in India. The iconic Italian bike made its comeback to India in 2012 and is now available in a single variant with a single engine option. Not a lot has changed in the design and the retro design with the round headlamps has its own charm. 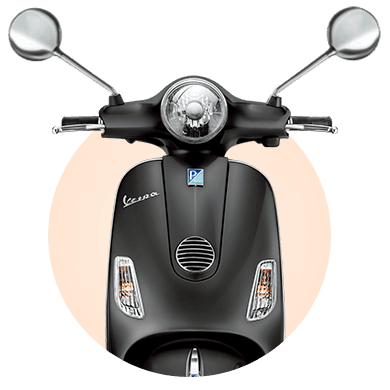 The Vespa LX is powered by a 125cc single cylinder unit that produces 10bhp and 10Nm of torque. It has been mated to a CVT gearbox which channels the power to the wheels. Standard features include an electric start, front disc brake, single piece analogue instrument cluster that provides speed and amount of fuel in the tank. 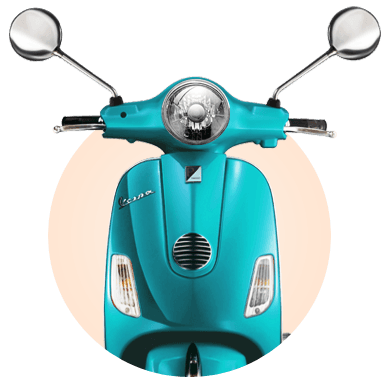 The Vespa LX is available in red, orange, blue, silver and yellow.